One of the most frequent misunderstandings occurring in the public discussion about integrating wind energy into the electricity network is that it is treated in isolation. An electricity system is in practice much like a massive bath tub, with hundreds of taps (power stations) providing the input and millions of plug holes (consumers) draining the output. The taps and plugs are opening and closing all the time. For the grid operators, the task is to make sure there is enough water in the bath to maintain system security. It is therefore the combined effects of all technologies, as well as the demand patterns, that matter. Power systems have always had to deal with these sudden output variations from large power plants, and the procedures put in place can be applied to deal with variations in wind power production as well. The issue is therefore not one of variability in itself, but how to predict, manage this variability, and what tools can be used to improve efficiency. Experience has shown that the established control methods and system reserves available for dealing with variable demand and supply are more than adequate for coping with the additional variability from wind energy up to penetration levels of around 20%, depending of the nature of the system in question. This 20% figure is merely indicative, and the reality will vary widely from system to system. The more flexible a power system in terms of responding to variations both on the demand and the supply side, the easier the integration of variable generation sources such as wind energy. In practice, such flexible systems, which tend to have higher levels of hydro power and gas generation in their power mix, will find that significantly higher levels of wind power can be integrated without major system changes. Within Europe, Denmark already gets 21% of its gross electricity demand from the wind, Spain almost 12%, Portugal 9%, Ireland 8% and Germany 7%. Some regions achieve much higher penetrations. In the western half of Denmark, for example, more than 100% of demand is sometimes met by wind power. 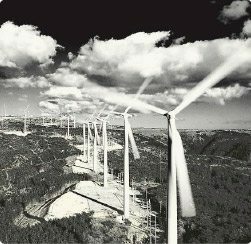 Grid operators in a number of European countries, including Spain and Portugal, have now introduced central control centres which can monitor and manage efficiently the entire national fleet of wind turbines. New Zealand’s wind energy industry is small but growing steadily. Capacity almost doubled in 2007, from 171 M W to 322 MW. 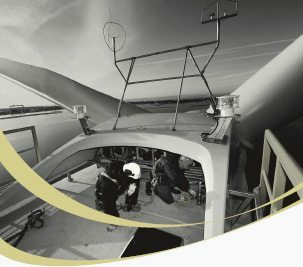 The present levels of wind power connected to electricity systems already show that it is feasible to integrate the technology to a significant extent. Experience with almost 60 GW installed in Europe, for example, has shown where areas of high, medium and low penetration levels take place in different conditions, and which bottlenecks and challenges occur. Another frequent misunderstanding concerning wind power relates to the amount of ‘back up’ generation capacity required, as the inherent variability of wind power needs to be balanced in a system. Wind power does indeed have an impact on the other generation plants in a given power system, the magnitude of which will depend on the power system size, generation mix, load variations, demand size management and degree of grid interconnection. However, large power systems can take advantage of the natural diversity of variable sources, however. They have flexible mechanisms to follow the varying load and plant outages that cannot always be accurately predicted. Studies and practice demonstrate that the need for additional reserve capacity with growing wind penetration very modest. Up to around 20% of wind power penetration, unpredicted imbalances can be countered with reserves existing in the system. Several national and regional studies indicate additional balancing costs in the order of 0 to 3 €/MWh for levels of wind power up to 20%. In Spain, with 12% of wind penetration, the cost of balancing power was assessed in 2007 at 1.4 €/MWh 4). The additional balancing costs associated with large-scale wind integration tend to amount to less than 10% of wind power generation costs 5), depending on the power system flexibility, the accuracy of short-term forecasting and gate-closure times in the individual power market. The effect of this to the consumer power price is close to zero. In order to reduce the extra costs of integrating high levels of wind, the flexibility of power systems is key. This can be achieved by a combination of flexible generation units, storage systems, flexibility on the demand side, interconnections with other power systems and more flexible rules in the power market.